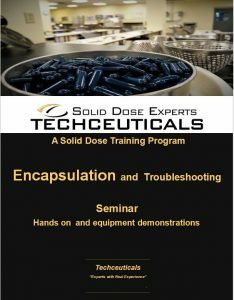 This two and one half day training event is all about two-piece hard shell capsule filling. 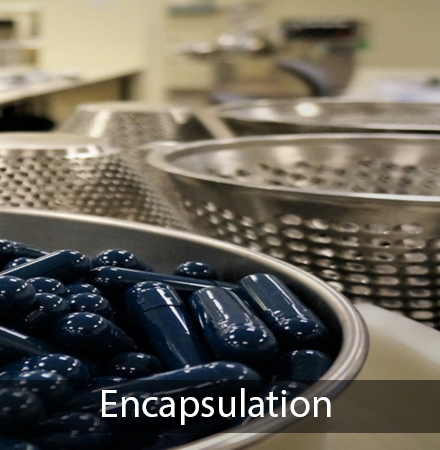 We will be featuring common equipment used in the encapsulation of pharmaceutical and dietary supplements capsules. We will focus on a step by step explanation of each unit operation within the manufacturing process, common terminology, and practical knowledge of each topic. Hands on breakout sessions will be part of this course! Managers, Supervisors, Operators, Quality Assurance, Tech Services, R&D, and Maintenance. How capsules are made, common problems with capsules as a raw ingredient, vegan capsules, capsule filling technologies, manual, semi-auto, intermittent and continuous motion technologies. Preparing powders for encapsulation and formulation, order of addition, bulk and tapped density issues. Capsule defects and defect resolution.